Sometimes the best way to learn what to do is to learn what not to do. I get emails all the time from artists asking what they can do to have a successful music career, and it's not like the music they make is the problem all the time either. So, here are 5 ways to guarantee that you don't make it as a full time music artists. If you want to keep working the day job and make sure that success doesn't come your way just follow these steps and you'll spend countless hours doing the wrong things for your music. We take a ton of music submissions from artists around the world. I'd be lying if I said more than 20% of the music we hear is mixed and mastered. If you want labels and blogs to take your music seriously, you have to take it seriously. I always tell my artists I work with, "You can never have enough professionally recorded music in your catalog." I would think this would be obvious, but then I take for granted that not everybody is willing to take the time to really improve their music. I'm not talking about being super picky about a song either. Once a song is done move onto the next one quickly, but you can't only have one album recorded and think you're 'really doing it' with your music. Artists will tell how much they "want to make it" all the time, and they don't even have the nerve to invest in their craft to make sure they're actually giving themselves a fair shot to make it in the industry. These same people would rather spend their money on a new phone or some booze at the club than save up and put into their so called 'dream' of a music career. One of my favorite sayings is, "Don't do business with people who aren't about their business." If I come by an artist who keeps asking for free stuff all the time I don't even pay them any attention. Why? Because I know that don't take their music seriously. 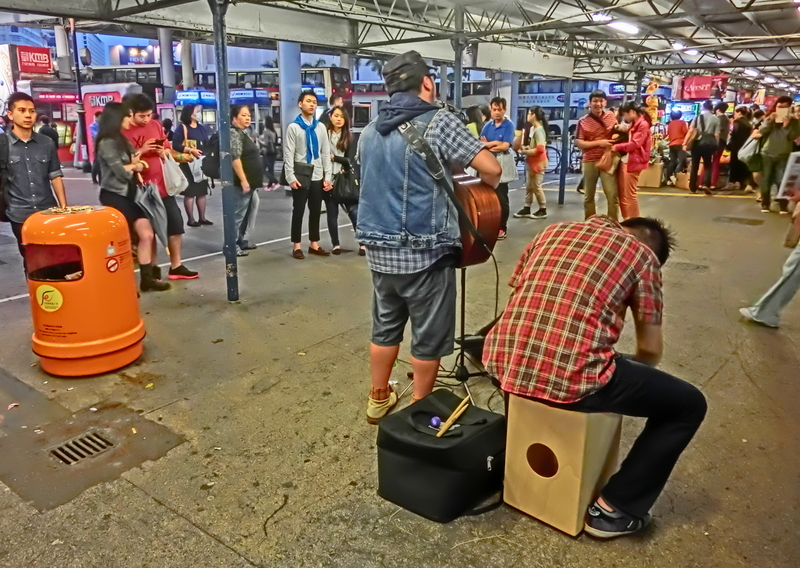 Music artists are quickly turning into panhandlers. Ask any successful entrepreneur out there how much they invested into their business and a ton of them will tell you their life savings. Why is it that artists are the entrepreneurs who think that everything should be free all the time? Keep searching for everything to be free and giving yourself an excuse not to pay for it and see what happens. A $0 investment is sure to yield little results. I'd rather spend $1000 and make $2000 than spend $0 and make $10 any day. Maybe it's just me, but I was always taught that if something came easily, it probably wasn't worth a whole lot. It's easy to say hard work beats talent if talent doesn't work hard. That's a cliche, and it may be true, but what people need to focus on is doing smart work. You can work as hard as you want, if you're not doing the right TYPE of work it doesn't matter. Ex. In order to look important some artists just want to hit the studio, upload it to Instagram and Snapchat to make it look like they're doing something, then just release the record. They spend more time worrying about their image than they did on their music marketing strategy. I don't know who keeps telling artists that they need to 'wait their time and everything will be fine'. That is a complete pot of crap. If one more artist says that 'my time will come' I might go crazy. What they mean to say is that they plan of some A&R or record label to come their way and offer them a deal to fund all their recording costs and do their work for them. Wouldn't that be nice? If all we had to do was record an album people actually wanted to buy and post it on social media, and all of a sudden a record label was knocking at our door. Here's the catch... THAT DOESN'T HAPPEN! The people who succeed are the ones who get up off their butts and make things happen EVERY day. The word 'excuse' is not in their vocabulary. Keep 'buying your time' and you'll end up 65 years old and looking back saying "I wish I would've..." Fill in the blank with whatever you want, but don't be this person. Are there a bunch of hustlers and schemers in the music industry? You bet. However, many artists have used this as an excuse to have virtually no marketing plan. (A completely free marketing is plan is not one at all). I get it. Money is probably tight and you need to make sure you're getting a good return on investment when you do spend the money. Let's take music promotion as an example. Say you have a modest budget of $100/month to spend on music promotion. You want to devise a strategy that that will earn you more money back than what you spend. You NEED to have multiple revenue streams to be earning this money back. You cannot simply rely on streaming revenue to get your money back. Let's take a look at a sequence. These are all ways to monetize your music besides just selling your album or concert tickets!